A perfect appetizer for your Thanksgiving celebration. 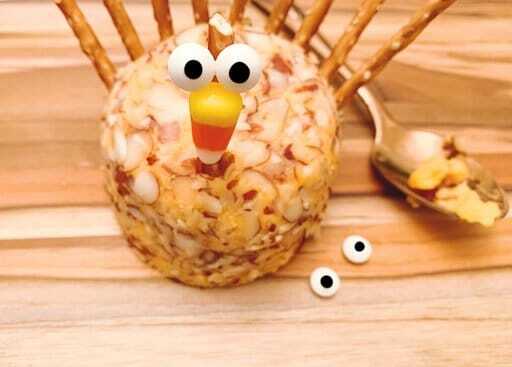 Take a regular cheese ball and with little effort turn it into this adorable turkey cheese ball. The holidays are one of my favorite times of year. I LOVE all holidays. There is something so magical about the wonder of a holiday. Even though my boys are getting much older I still love to put all the extra special touches on the holiday. With any hope before I know it I will have grand babies running around on the holidays as well enjoying our adorable Turkey Cheese Ball. 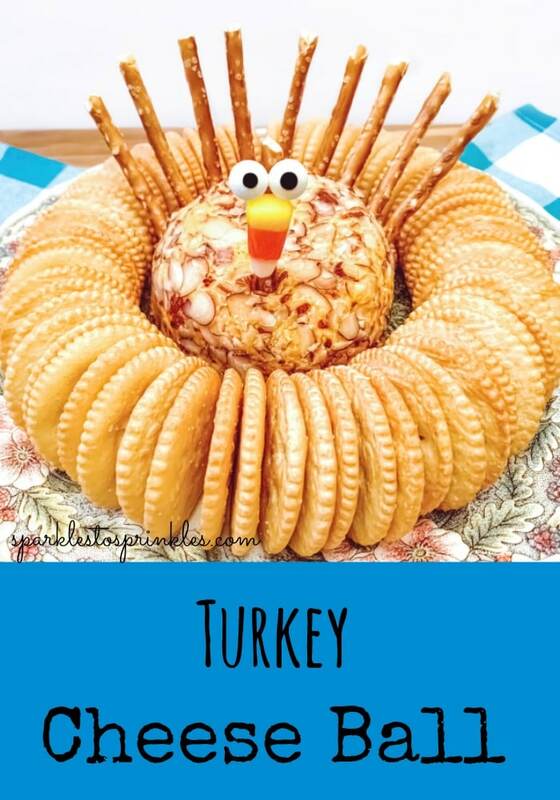 This Turkey Cheese Ball is so simple and easy to make it would be a Thanksgiving crime not to make it. The ingredients are so simple and it is so easy to put together. Our holiday guests love it year after year. 1. 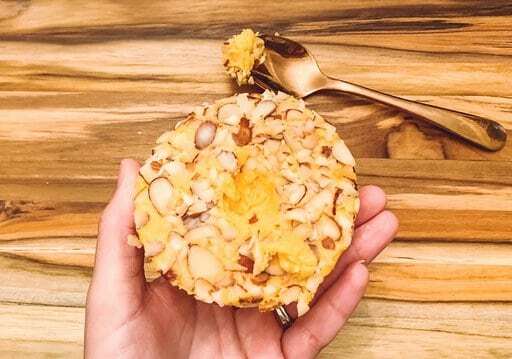 Take your Cheese Ball and flip to the bottom. Take a spoon a scoop out a tiny scoop of cheese. You will be using this scoop of cheese later as “glue”. 2. 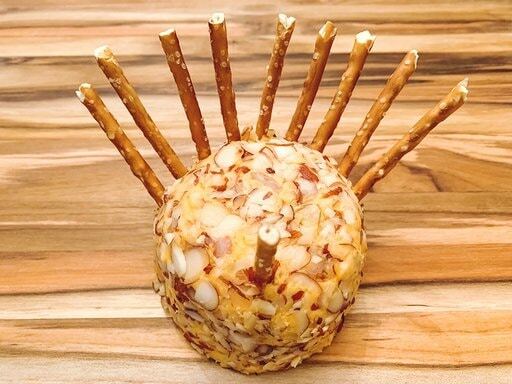 Now take those pretzel sticks and poke one in the front of your cheese ball to create a turkey neck and then poke several pretzel sticks in the back to make Turkey feathers. 3. Using that scoop of cheese as a “glue”, “glue” your candy corn onto the turkey neck pretzel stick. Then “glue” on the eyes. 4. 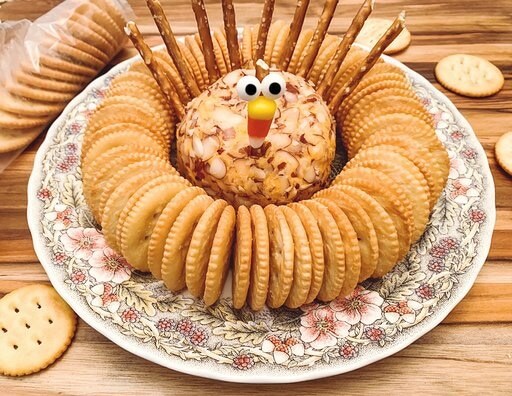 Place your Turkey Cheese Ball onto a serving dish and lay out your crackers. This seems to be an interesting project to try, sometime in the future.